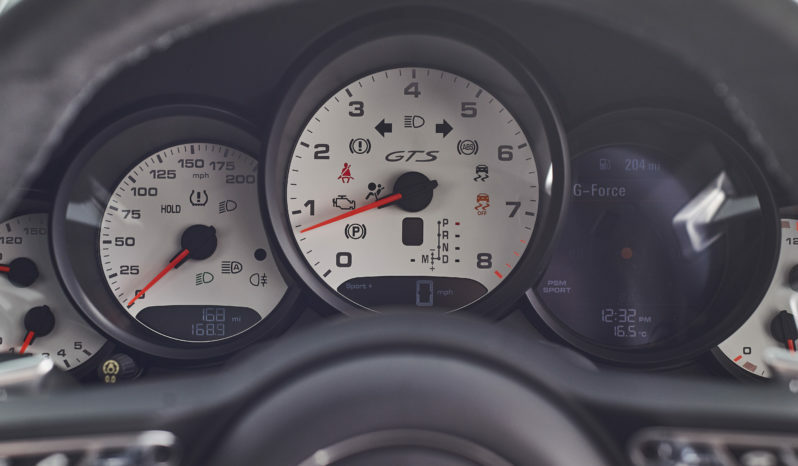 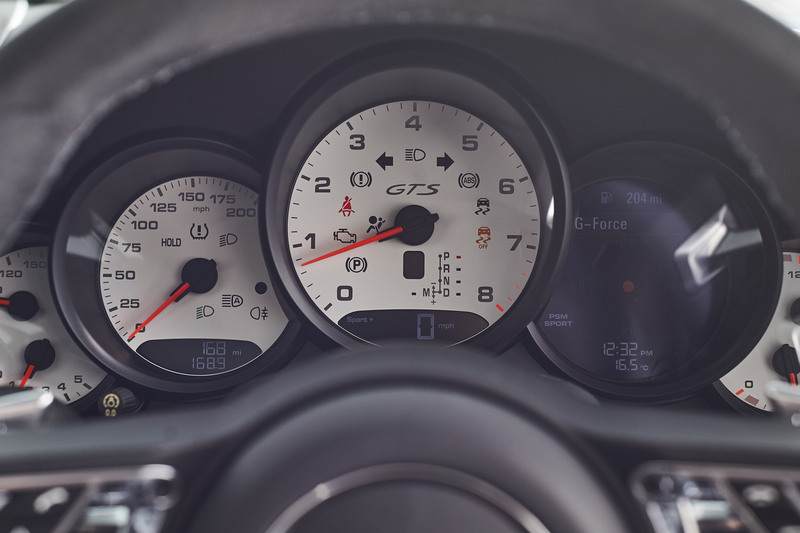 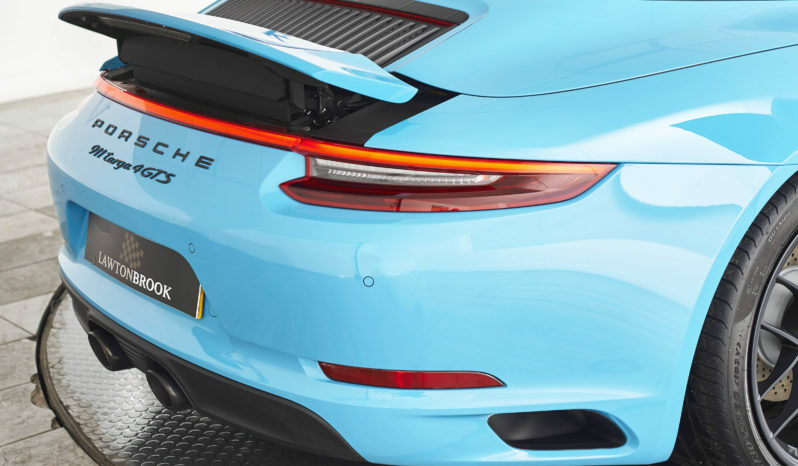 The 911 GTS needs no real introduction. 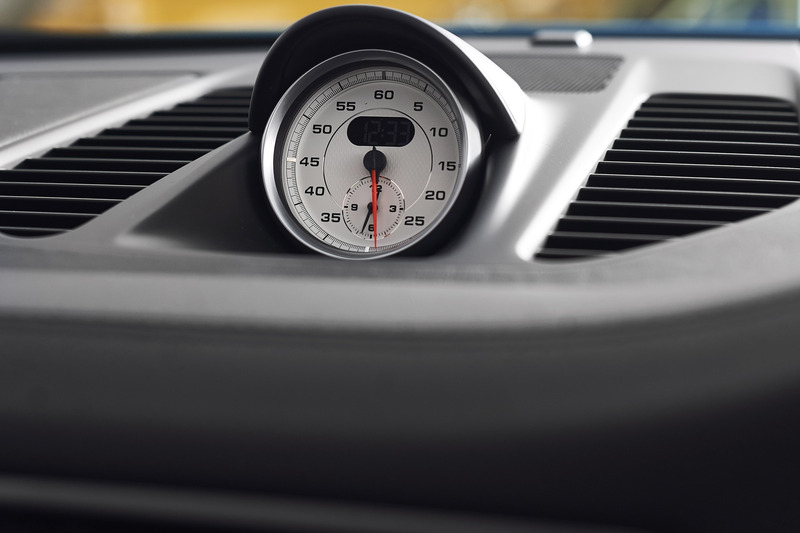 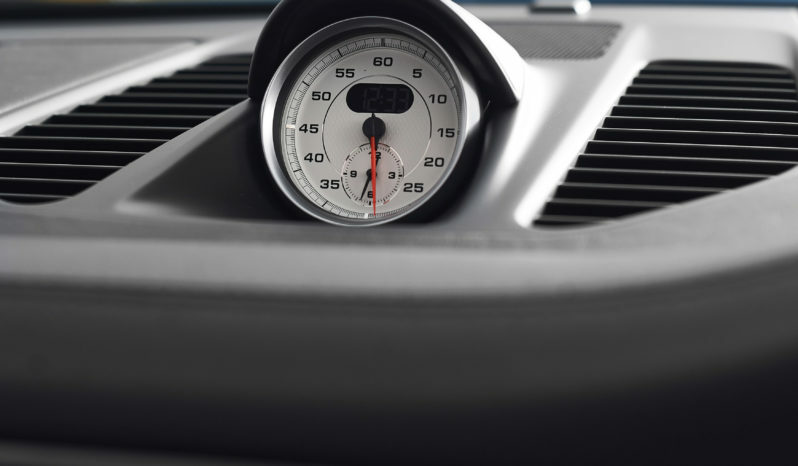 Effectively a greatest hits derivative of the evergreen 911, and still, even some 52 years after its inception, the benchmark to which all other sports cars are measured and compared. 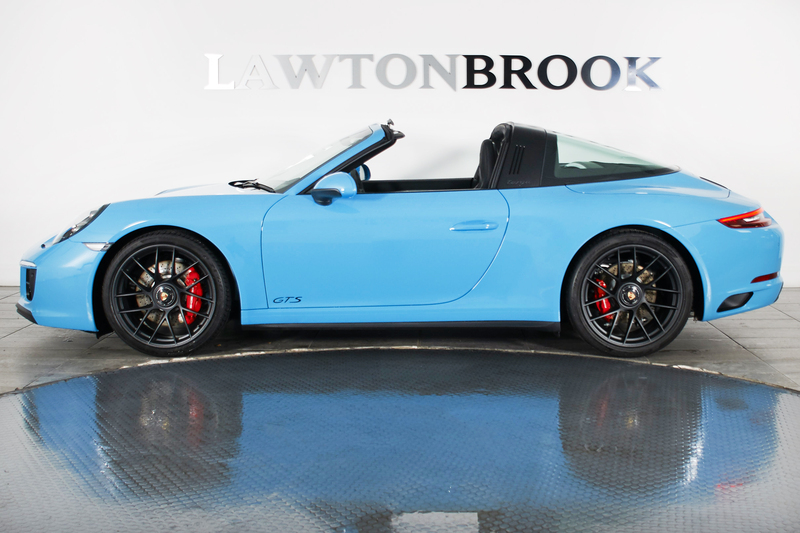 In Targa form, this is the most desirable variant available. 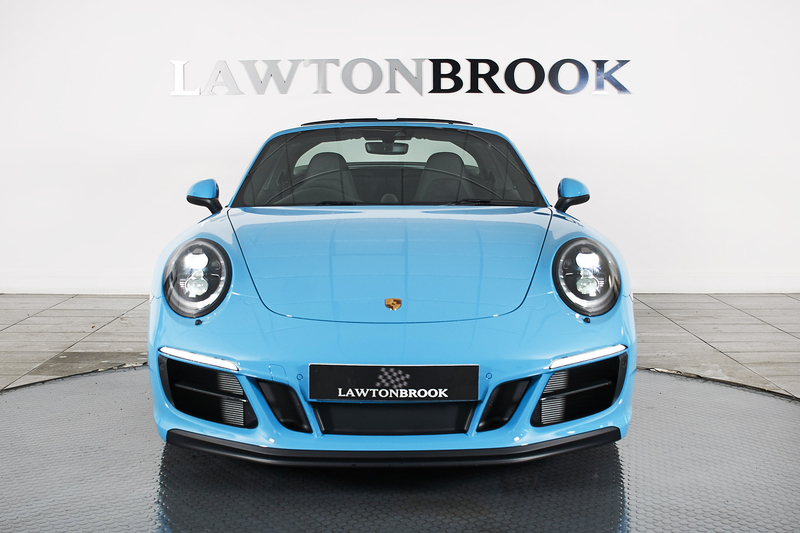 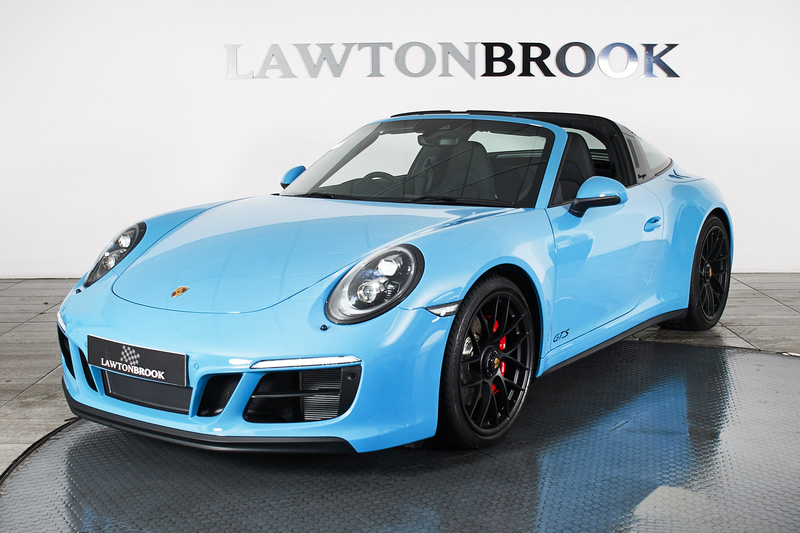 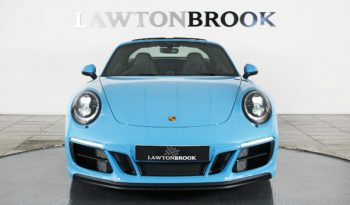 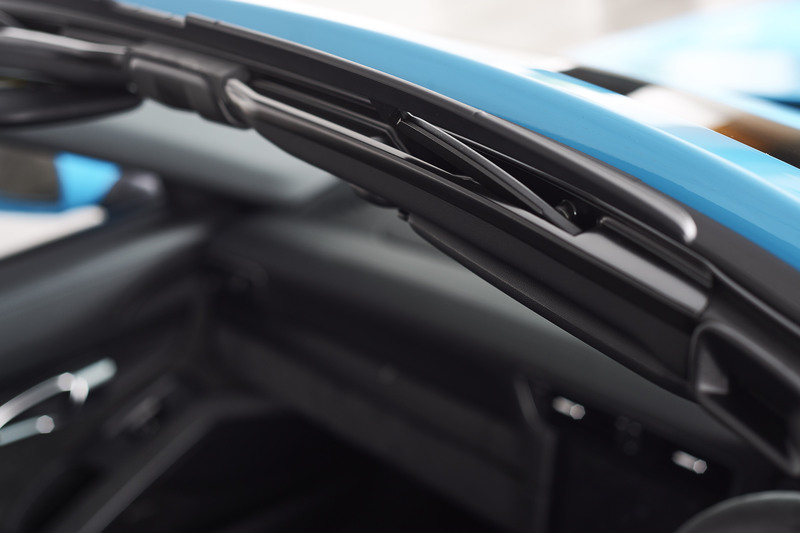 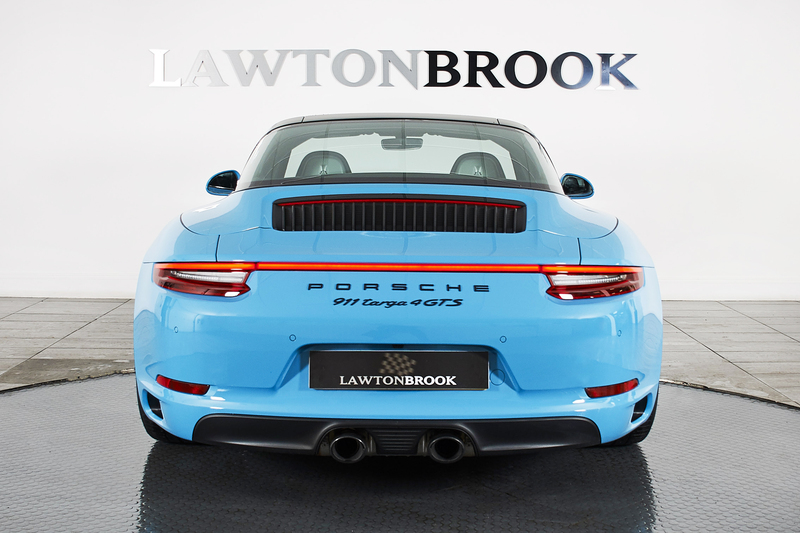 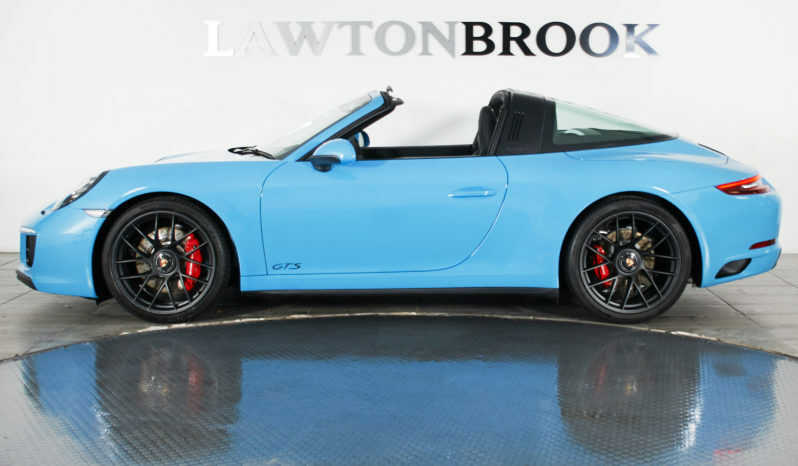 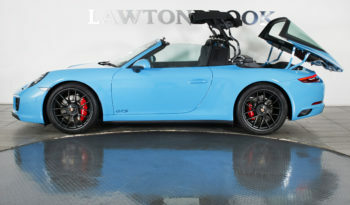 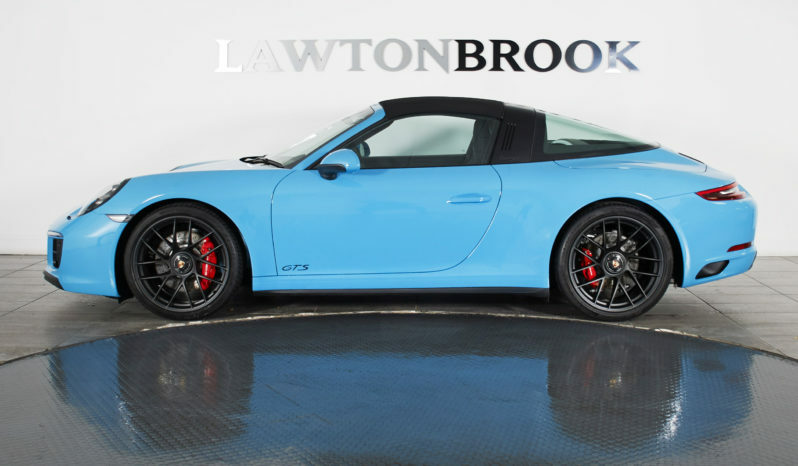 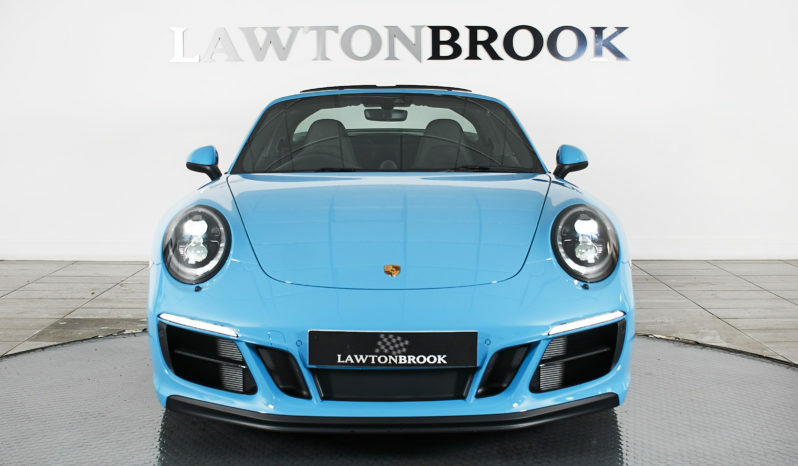 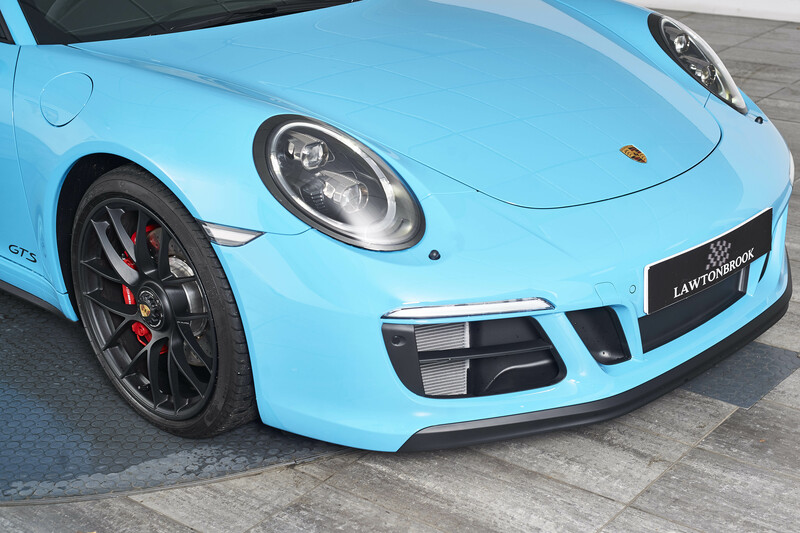 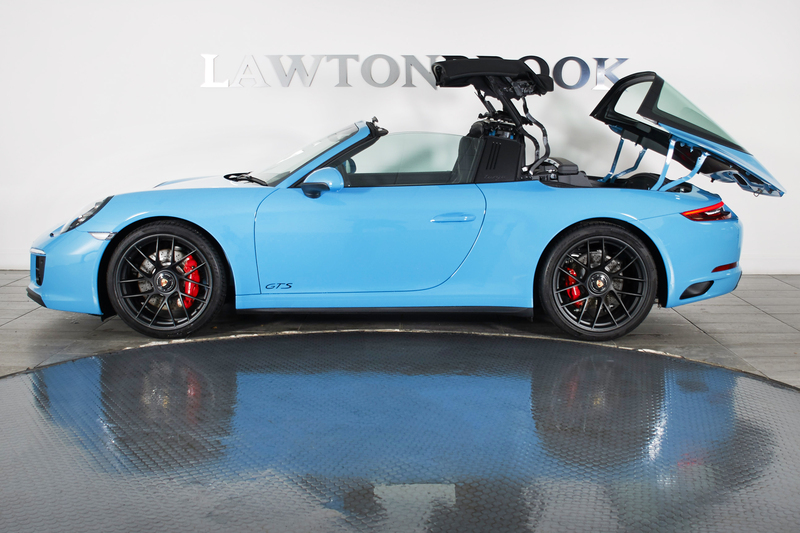 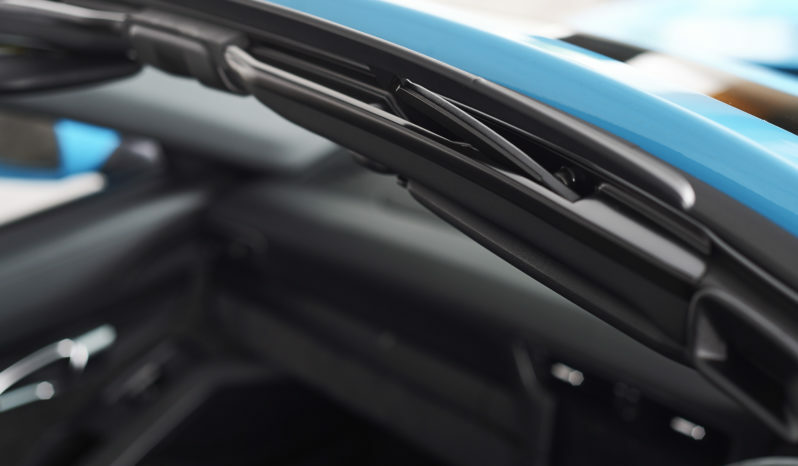 Presented in stunning Miami Blue, with complimenting black alcantara interior, this vehicle really is a sight to behold. 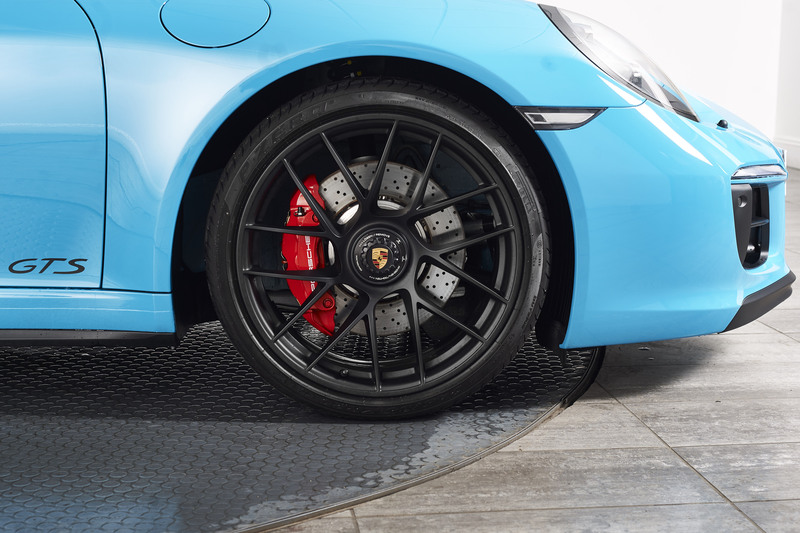 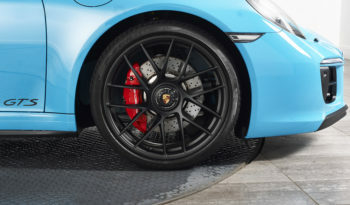 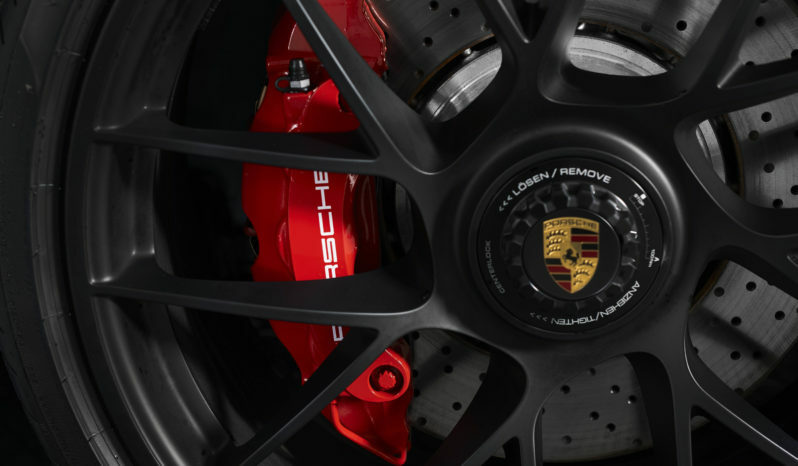 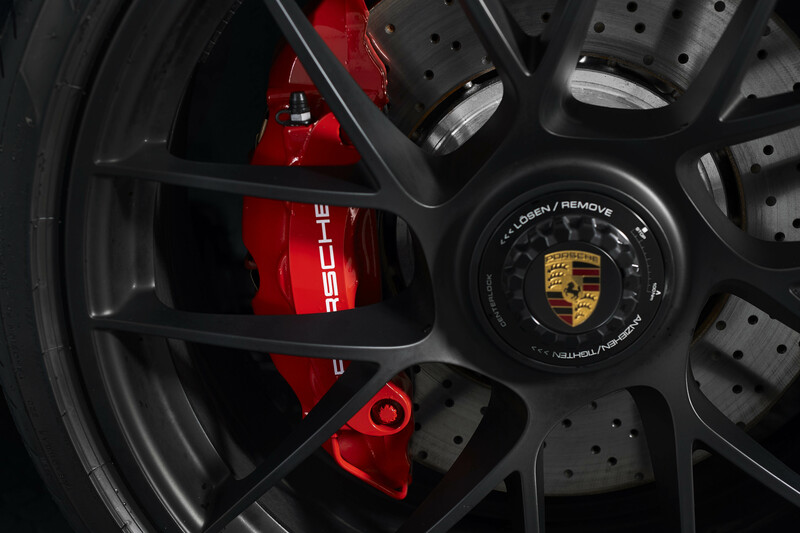 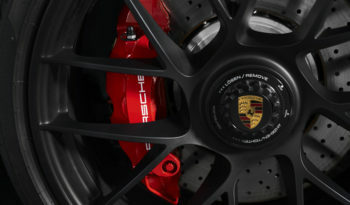 With the stunning 20″ 911 Turbo S matte black centre locking wheels with red brake calipers, matte black roll over hoop, matte black lettering, trims and exhaust finishers the car is simply stunning. 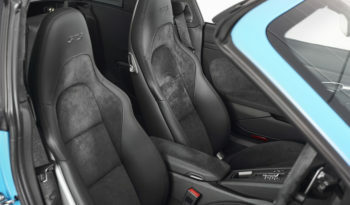 The factory optional specification is vast and compliments the already generous standard trim. Sport Chrono package is standard, as is the sports exhaust. 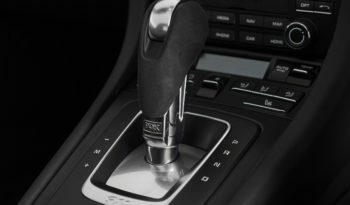 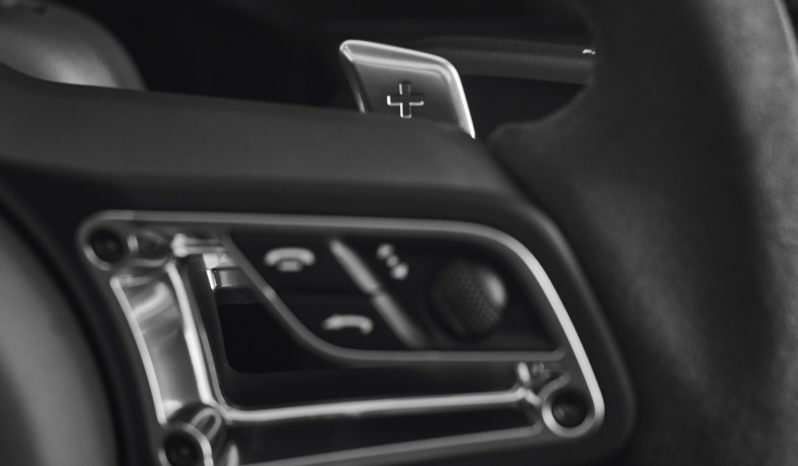 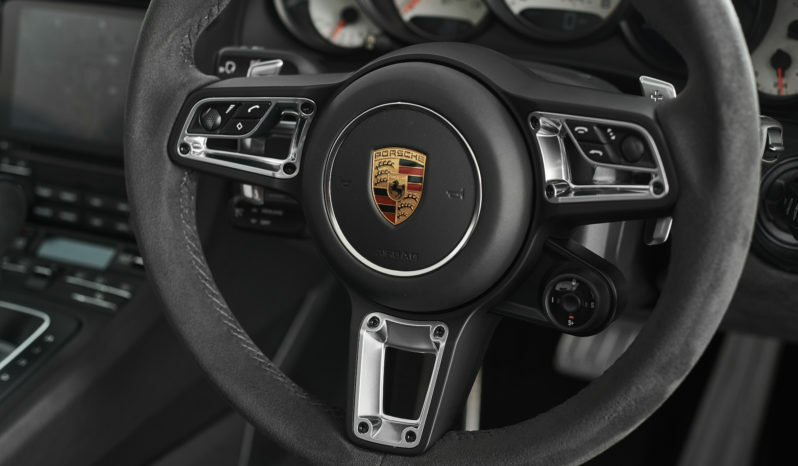 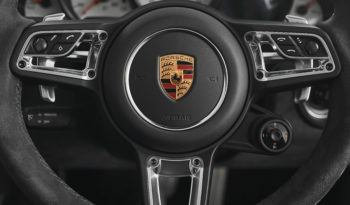 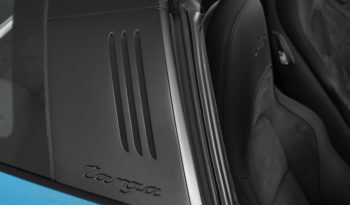 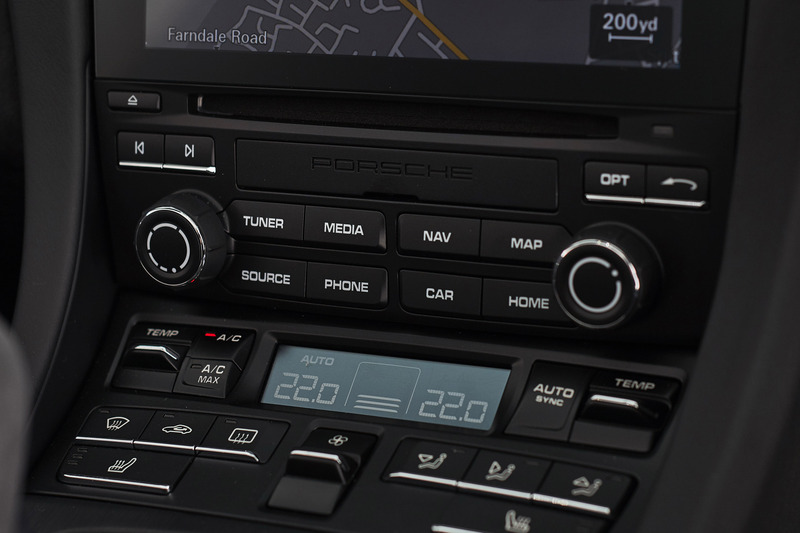 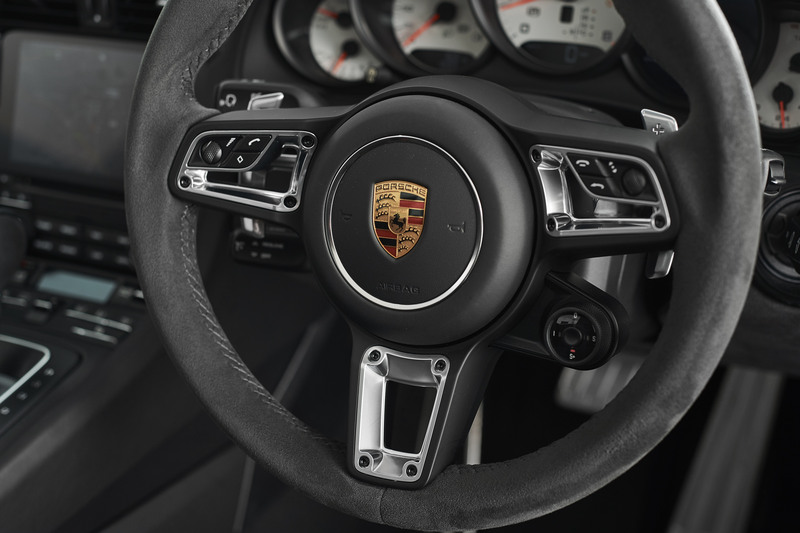 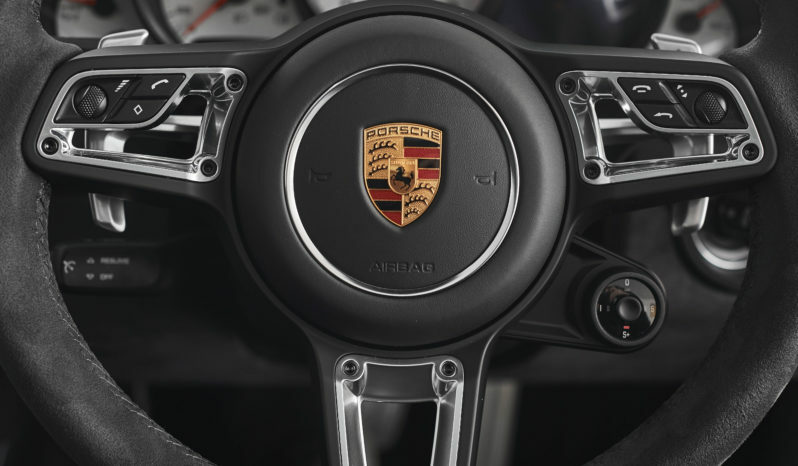 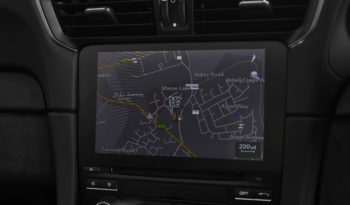 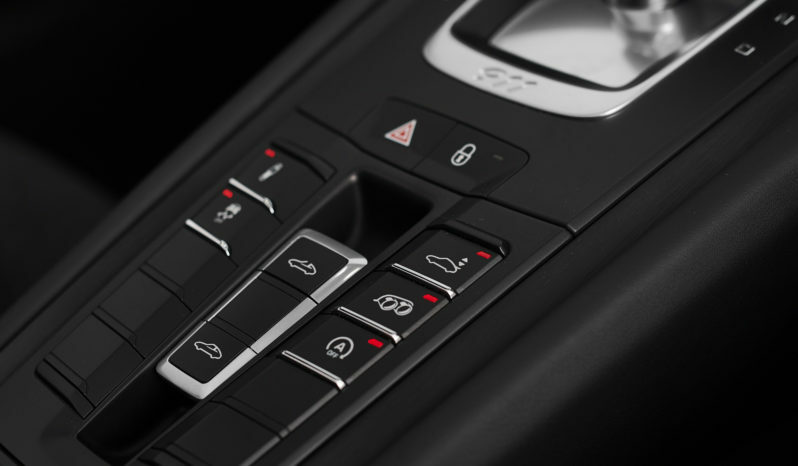 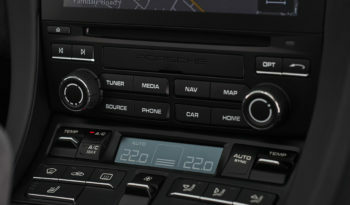 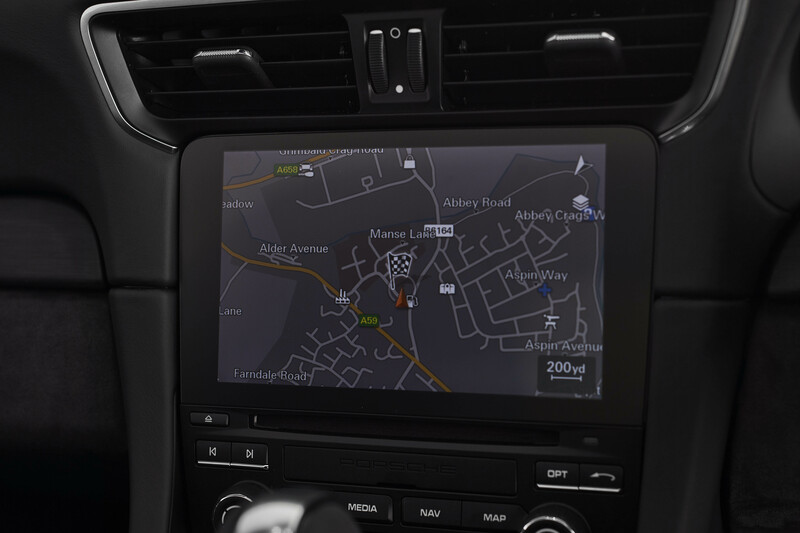 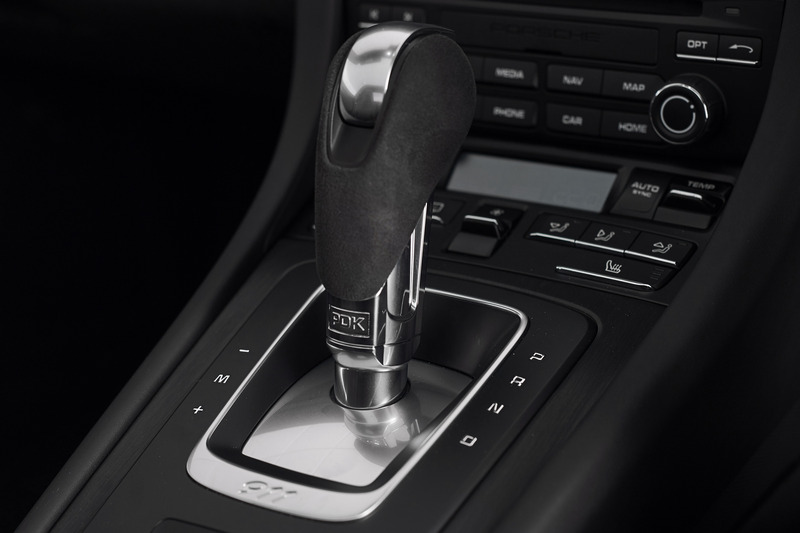 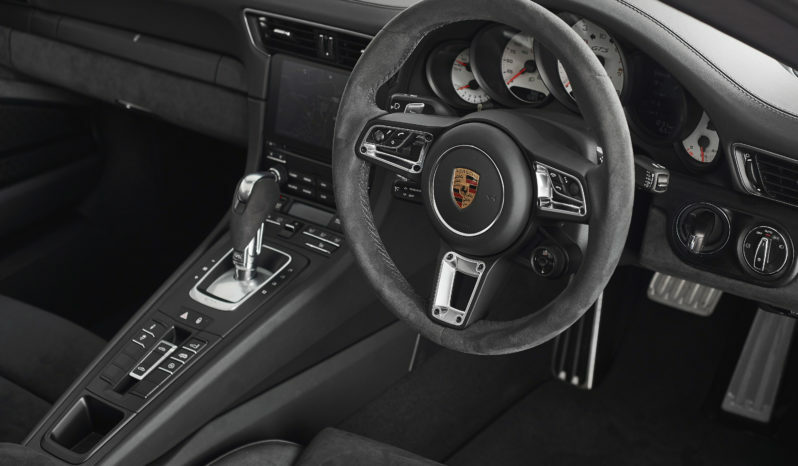 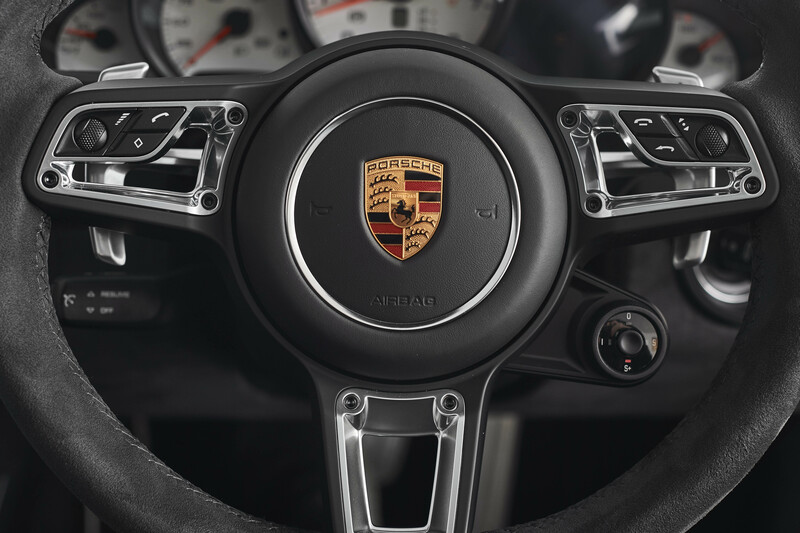 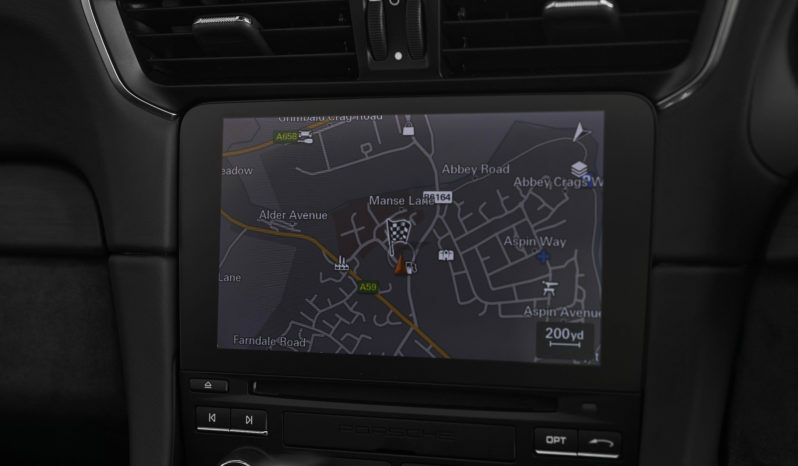 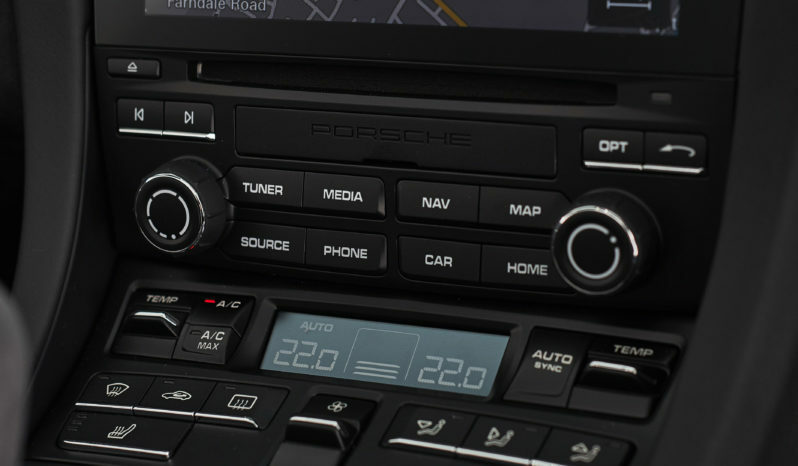 Our car has the highly desirable GTS interior alcantara package complete with passenger side ISOFIX compatibility, heated front seats and multi functional heated steering wheel, park assist front and rear including reversing camera, cruise control and the superb BOSE Surround Sound System. 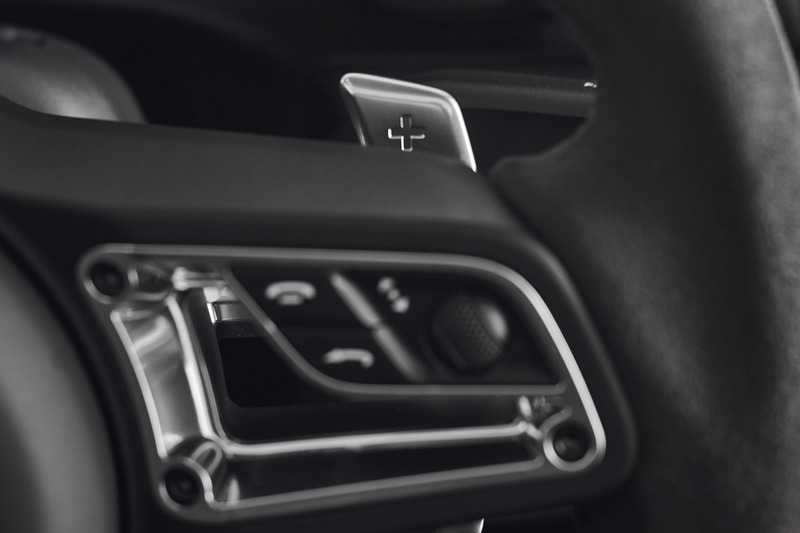 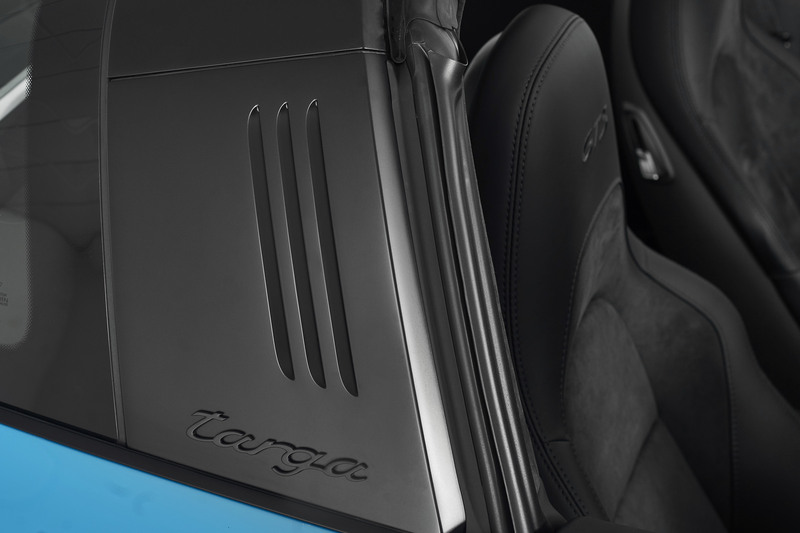 The front seats are the 18 way adaptive sport seats plus variety and the dials are presented in white, which really lifts the interior and provides a welcome contrast to the black alcantara. 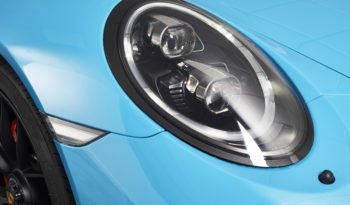 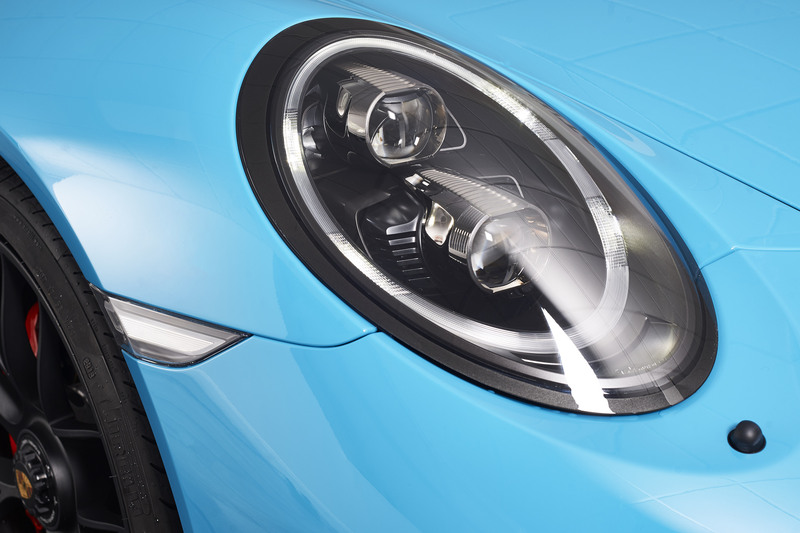 The headlights are full LED and equipped with PDLS (Porsche dynamic lighting system). 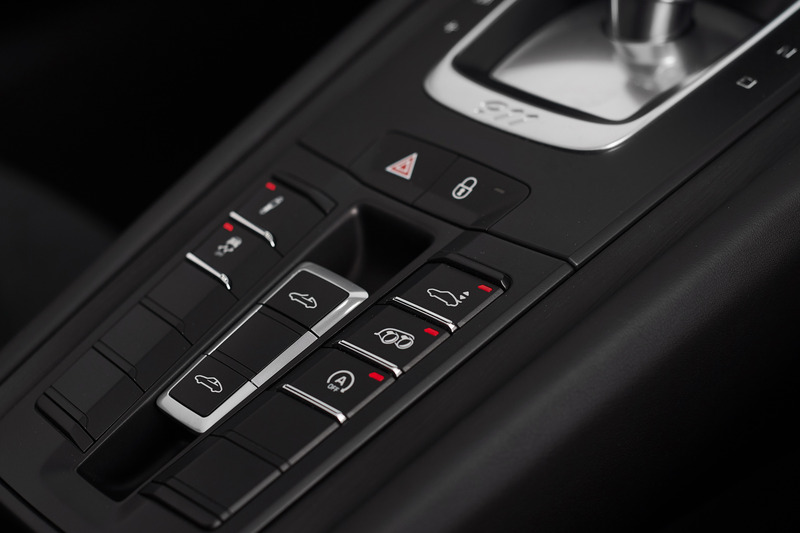 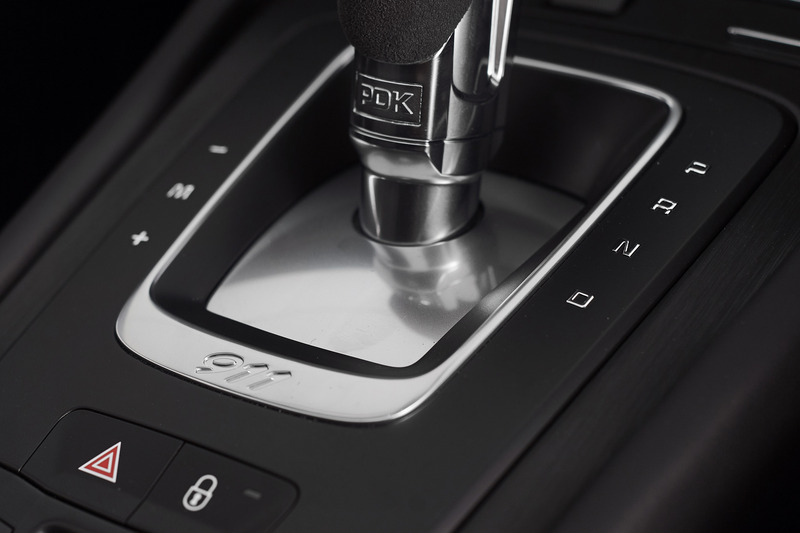 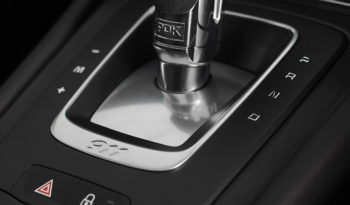 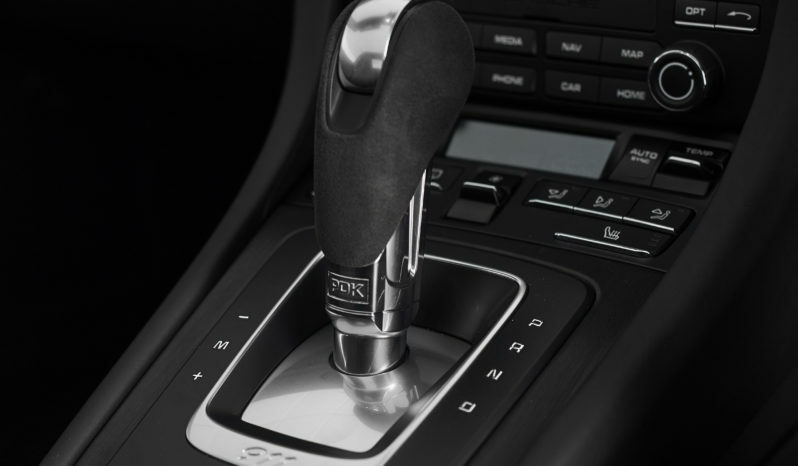 It has the optional aluminium pedals and fuel cap. Thoughtfully specced and as new throughout, this delivery mileage example of the much sought after 991.2 Targa 4 GTS is a fantastic ownership proposition. 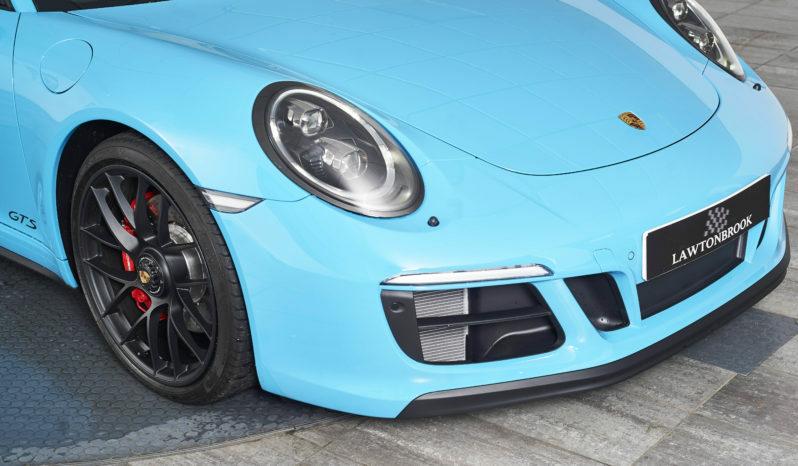 As at home on the final corner at Silverstone or on any European promenade, this really is a car for any occasion. The new generation 3 litre turbo powerplant is superb and provides effortless performance at any point in the rev range. 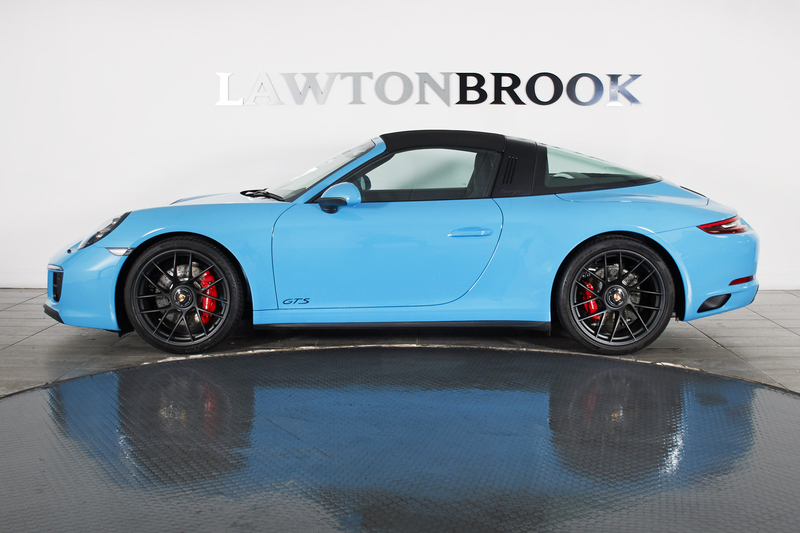 Absolutely superb throughout, this is a vehicle that cannot fail to delight its new custodian. 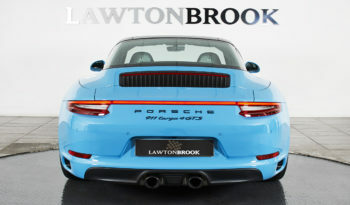 One not to be missed.